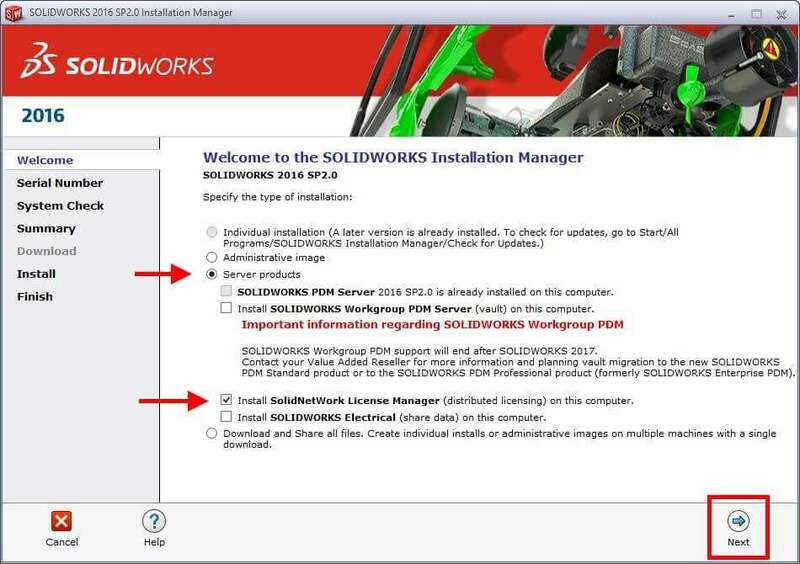 So you’ve made (or are considering) the decision to use a SOLIDWORKS Network License. Perhaps you have engineers/designers/drafters who do not use SOLIDWORKS 100% of the time. Or perhaps they aren’t so fortunate and find themselves sometimes having to use… another CAD package (shudder). Whatever the reason, it might be that your company has 10 SOLIDWORKS users, but only 5 are ever using SOLIDWORKS at the same time. One option would be to have separate CAD workstations where users leave their cubicle (gasp) and work from a different computer. Another, simpler way is to make use of Network Licensing. 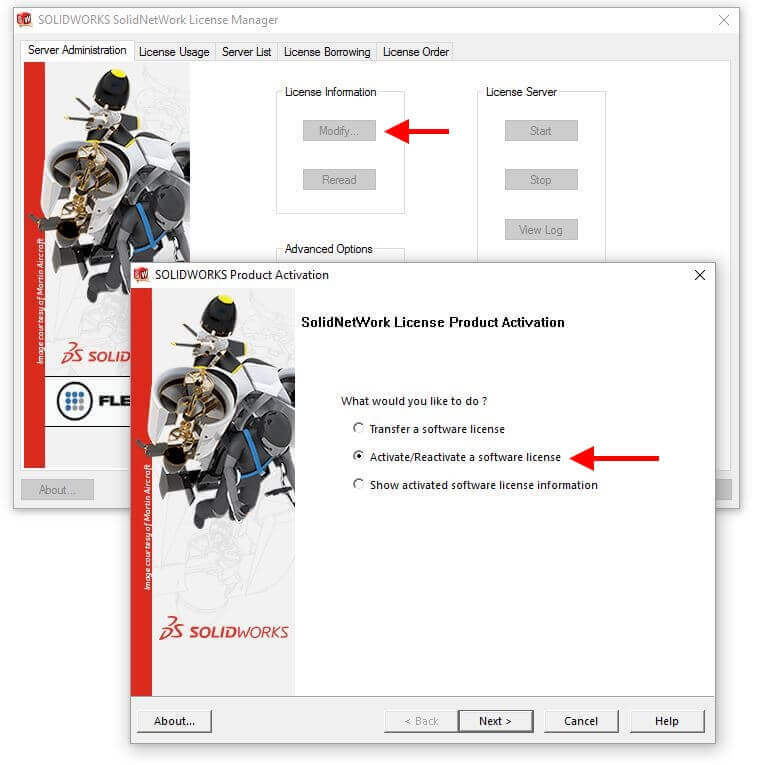 With a network license, you can easily switch which computers are using SOLIDWORKS. The system requirements for a License Server aren’t particularly strict. It just needs to have a certified O/S (see this page, and scroll down to SOLIDWORKS Network License Server). Nothing nearly as strict as the requirements to run SOLIDWORKS. Often times, people will ask whether or not you can install the SolidNetWork License Manager (or SNL Manager) on the same computer as SOLIDWORKS (so it could function as both a server and a client machine). The answer is yes, but do keep in mind that if that user’s computer turns off (either through crashing, rebooting, or being turned off while the user goes on a 2-week holiday), then the license server is down and no one will be able to use SOLIDWORKS. You do this by running Setup.exe as an Administrator. Select Server Products from the list then check the box for Install SolidNetWork License Manager. If you are on a computer that is doubling as a client machine, you may encounter a situation where your SolidNetWork License manager does not have a Server Administration tab. If that is the case, please refer to this blog article. On each of the client workstations, modify the installation and change the serial number. you will be prompted to identify the server. Simply type 25734@server (replace server with the name of your license server). If it does not launch, contact your VAR for assistance. If it does launch, then you are good to repeat the procedure on the other client workstations. If you’d like to make the switch to network licenses, please contact your SOLIDWORKS sales rep for more information.